Can I specify the exact delivery time? Is a personal pickup possible? How much is the cost of transport? What do I need to activate tire insurance? How to return used tires? Is the item on stock? How old are the offered tires? Where were the tires made? Can you send me tires that are already putted on rims? What do tire acronyms mean? Can I use all season tires instead of winter tires? Can I use different tires on the front axle and other tires on the rear? Where can I find the DOT code on my tire? Is it possible to exchange the goods? We deliver the goods according to the terms that are listed on our website, where the delivery dates for each product are current and valid. If ordered goods are on stock and the order is placed before 6 pm, the goods are shipped from our warehouse the same day. Prior to the delivery of the shipment, the recipient of the shipment is sent a message to the entered mobile number, which was stated in the order with an approximate delivery time by the delivery service itself. In most cases, personal pick-up is not necessary as the goods are delivered directly to the customer's address. In the case of individual access and personal pickup, it is better to contact us via email and, if necessary, to personally pick up the individual order according to the placement of the goods in one of our warehouses. Shipping is at eshop.TOMKET.com/GB for CZK 59 per piece. For non-standard tires with a weight greater than 31.5kg (some tire sizes R17.5, R19.5, R22.5, agro-industrial and some atypical SUV dimensions), the transport will be solved individually in agreement with the buyer. The Invoice is always wrapped up under the transparent foil that our goods are wrapped in. If the invoice is not bundled, it can be resubmitted to your email on request. We will address your situation as quickly as possible. If the goods have already been shipped, we will agree together on the next step. The price includes the tire insurance provided by AXA Assistance and it is automatically activated after you receive the goods. General conditions for tire insurance. The return of used tires is arranged according to the law on our address in our Volary warehouse. The customer who purchases tires via our e-shop is entitled to free-of-charge return of used tires at the take-back site in a quantity corresponding to the number of tires they have purchased. Tires are then handed over for recycling and ecological disposal. For all products on our site, the actual stock availability is included in the product detail, including the expected delivery date. ON STOCK - goods are on stock and if the order is placed on working day and up to 6 pm, the goods will be shipped from our warehouse on the same day. TO BE SHIPPED WITHIN 3-10 DAYS- product is in an external warehouse abroad. OUT OF STOCK WILL ARRIVE WITHIN 20-30 DAYS- these are goods that are ordered from the factory and are currently waiting for delivery. 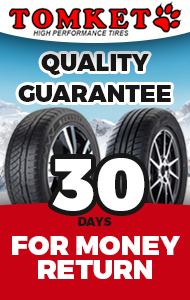 For tires that are physically in our warehouses and is marked with the delivery date ON STOCK is in most cases DOT - Date of trade- listed in detail of the goods. The vast majority of tires sold in our online store was manufactured in this or last year. Manufacturers recommend using the tires in service (which means the total length of time they have been mounted on the vehicle) for four years or up to six years (with quality care and regular maintenance). After this time, tire replacement is recommended. The standard tire life, both operating and non-operating, while maintaining all safety parameters, is 8-10 years from the date of manufacture. All tires available in our e-shop are designed, approved and certified for use in the EU and the Czech Republic. We guarantee that the tires have been manufactured by the lawful manufacturer - the owner of the trademark. 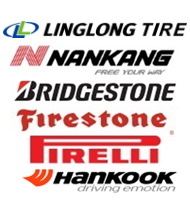 Due to industrial globalization, it is no longer important in which country the branded tire is manufactured. All the factories of one concern must meet the same technological and quality standards and are equipped with identical technological equipment and forms. All major manufacturing operations, within a few degrees of control, are usually supervised by technicians directly from the parent plant. The manufacturer is responsible for the quality of all its products regardless of the country of origin. In addition, for tires, it is not essential where, but for which market they were manufactured. Always make sure that the tires you are buying are designed, approved and certified for use in the EU and the Czech Republic. Yes, our company offers the possibility of assembling steel wheels and tires. The customer then only needs to check the correctness of the pressure in the tires once they are placed on the vehicle. We do not assemble alloy wheels as they are shipped in boxes directly from the manufacturer itself, in order to not being damaged during shipping to the customer's address. In the case of ordering goods for cash on delivery, the goods are sent and always paid in cash to the delivery service driver. For goods marked with the ON STOCK status, you can choose one of the online payments when filling in the billing and delivery address. All season tires, marked with the M + S symbol, can be used in the period of validity of the so-called mandatory winter gear, which is since the 1st of November to 31st of March, with the occurrence of winter weather conditions. The minimum tread depth must be 4 mm. When choosing tires, think about the fact that all season tires are just a compromise, they do not reach the same quality as summer tires or winter tires. Winter tires will always have better adhesion (grip) and a shorter braking distance in winter. Real winter tires are marked by the snowflake symbol on the sidewall. All season tires can be recommended for those who have a very small annual mileage and do not drive in very snowy or icy weather conditions. Tire manufacturers recommend to use tires for 4 years after mounting on the vehicle, or for 6 years (if sufficient care is provided). Yes you can, according to the law, the tires have to be identical on one axle, which means that different tires can be found on each axle, but in the same size unless the vehicle manufacturer has stated otherwise. For reasons of safety, it is appropriate to maintain the same or similar qualitative level of tires on both axles. The age of each tire can be checked directly on the tire. It is represented by the so-called DOT mark (Date Of Trade). After the letters "DOT" you can see 3 sets of letters and numbers which help to identify the manufacturer and the tire series. The most important figure is the last 4 digit mark. The first two digits of this figure denote the week of production (ranging from 1 to 53) and the second two digits the year of manufacture. Thus, a tire with DOT marking which for example ends with 2711 was produced in the 27th week of 2011. Drivers often mistakenly believe that if they do not receive tires made within one year from the purchase they are already getting low-quality and old goods and are exposed to a great safety risk when using them. The truth is that if the tires are properly stored, their lifetime is over five years. Afterwards, their properties are usually impaired and their use on the vehicle is no longer recommended. Values such as adhesion and rolling resistance are contradictory properties. It is very difficult to produce a tire marked A for rolling resistance and A for braking on water. In terms of choice, for most customers, labeling should not be the most important factor when choosing tires. Racing tires have better grip and therefore higher rolling resistance, but they have better driving properties. The higher the tire rolling resistance, the higher the fuel consumption. The difference between ratings A and G may mean a reduction in fuel consumption of up to 7.5%. With a conventional vehicle this means that tires A can save more than 0.6 liters per 100 kilometers over tires G.
The better the wet grip, the shorter the braking distance. The difference between an A rating and a G rating can mean up to 30% shorter braking distance. When braking from 80 km / h on wet road, it can make up to 20 meters. Tire noise is shown on the label using the wave symbol and the amount of decibels. Noise can take between one and three waves. Each wave means a difference of three decibels of external noise compared to the basic noise levels set by the EU since 2016. TPMS (Tyre Pressure Monitoring System) is the abbreviation for tire pressure monitoring systems. This device, which constantly monitors vehicle tires, alerts the driver of changes in pressure. Changes in tire pressure can be detected either by a direct or indirect monitoring system. Both systems warn the driver mostly with the warning light on the vehicle display and the audible warning at about 25% deviation from the prescribed pressure. Direct TPMS monitors tire pressure with sensors connected to valves. Tire sensors record air pressure and air temperature data and send them to a control unit that immediately displays them on the car's display. Indirect TPMS does not directly measure tire pressures but warns of loss of air pressure based on metrics such as the rotation speed and vibration of each wheel. This system uses ABS sensors and EPS. Basically it is just a software modification of these security systems. The introduction of the mandatory use of TPMS is based on the European Commission's proposal - Improving vehicle safety and the effect on environment. The law is not retrospective, so the TPMS will not have to be fitted on older vehicles. The buyer has the right to withdraw from the purchase contract in accordance with § 1829 of the Civil Code within 14 days of the date of receipt of the goods; in the case of delivery in part this period is calculated from the date of the last part of the delivery of the goods. Withdrawal from the contract must be made in written form and fulfillment of this condition is considered as sending an e-mail to gb@tomket.com, withdrawal can also be done by completing the form according to the Civil Code. If the buyer decides to do so, undamaged goods, without signs of use or wear, must be delivered without undue delay to the address of the warehouse of dispatch. Before returning the goods, the buyer will send an e-mail with the invoice number and at the same time communicate the bank account number to which he wishes to return the amount paid. From this amount, the actual costs incurred in returning the goods (in particular transport costs) will be deducted. Seller has the obligation to return this amount to the buyer within 14 days of receipt of the withdrawal from the sales contract, but not before the returned goods have been returned or dispatched.